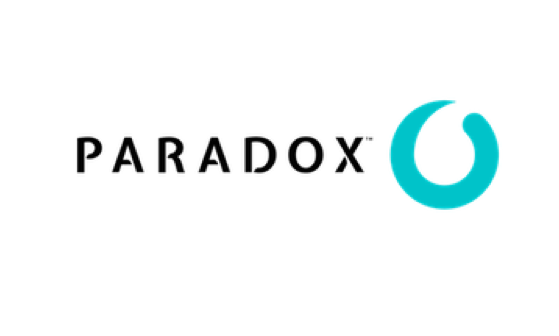 Paradox is the AI company that believes recruiting is a people game. Our flagship product is Olivia, the AI recruiting assistant obsessed with transforming global talent acquisition and candidate experience. Olivia allows recruiter to focus on what they do best, human interaction – while she focuses on experience, automation and intelligence. Chat with Olivia to request a product demo. Text SRDemo to 25000. Providing your candidates a better experience can be a major competitive advantage in hiring. 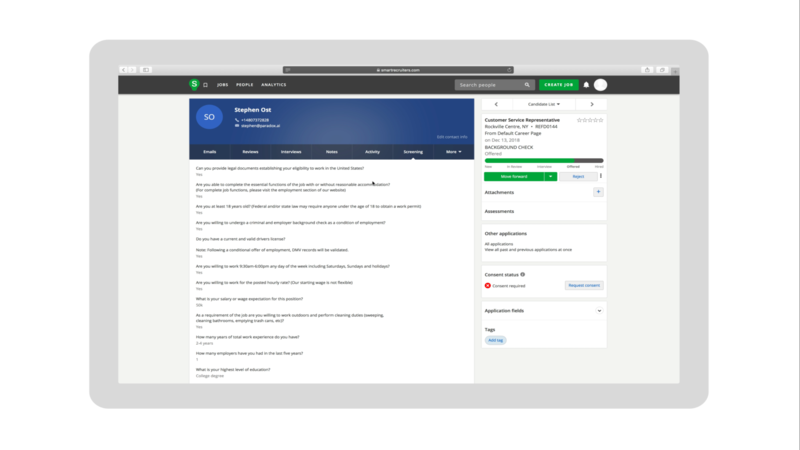 Olivia helps you engage candidates where they are – web, mobile, SMS, and social platforms through a personalized one-to-one candidate experience at scale. Olivia communicates in real-time with candidates in over 100+ languages and answer thousands of questions your candidates want to know about why they should work for you. Imagine if you all of your candidates could have a personal recruiter to concierge them through an efficient hiring process to reduce candidate drop off and increase the ROI on your recruitment marketing spend. Olivia delivers efficiency at scale, driving candidates quickly and effectively through the the hiring funnel. Leave it to Olivia to remove repetitive and time-consuming tasks so you can spend more time where it matters – with your candidates. 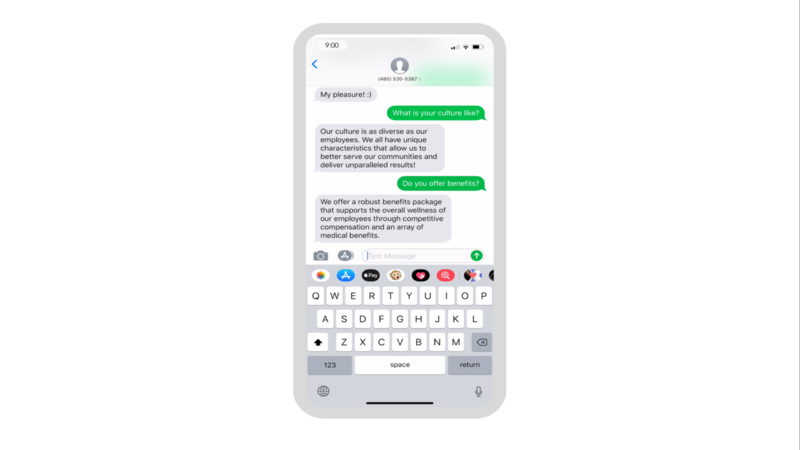 Shorten your time to hire and save valuable resources by automating the engagement, screening, and scheduling of candidates through the power of real-time conversational assistive intelligence. Your candidates are hard to find and critical to recruit and they are in high demand. You can’t afford to wait days or even weeks to move them through the early stages of the recruiting process. Green light key candidates and expedite them through a personal and fast hiring process with help from Olivia. Through outbound or inbound recruitment marketing, Olivia can help you capture and quickly evaluate candidates for your company and roles. Leave the administrative management of events like emails, scheduling and event reminders to Olivia. Show up to your hiring event with pre-scheduled interviews and a room full of qualified talent. Your reach extends further than you realize. But most companies don’t have the tools to capture candidates and referrals at the point of interest. 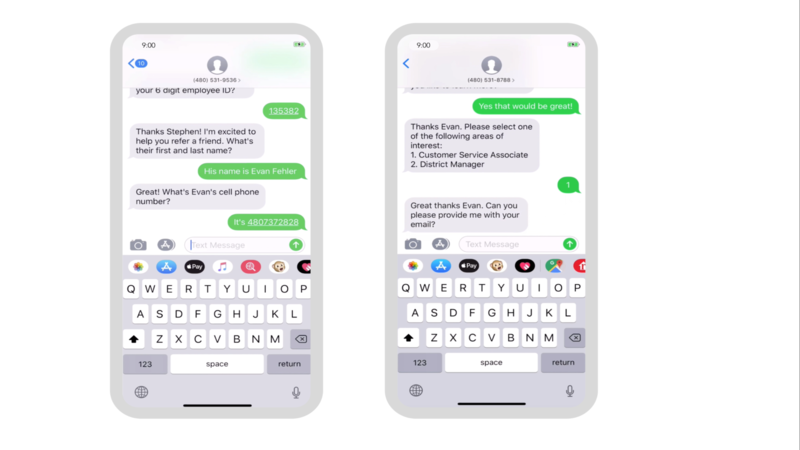 Leverage the power of conversational messaging on platforms like text, WhatsApp, WeChat and Facebook messenger to engage candidates and their networks wherever they are, while letting Olivia manage the process 24/7. Your candidates use their phones as their primary device for researching companies and job search. They increasingly prefer text and messaging communication, rather than phone and email. 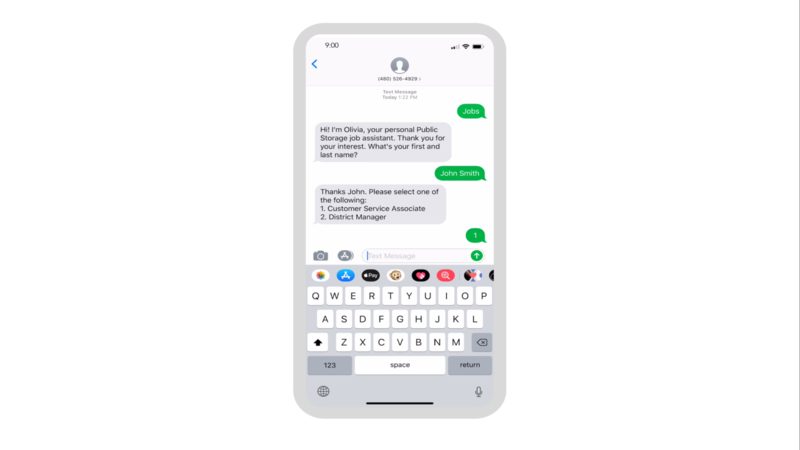 Through the power of conversational AI, Olivia offers your candidates a seamless mobile-first recruiting experience so you can meet and engage candidates wherever they are. Streamline your recruiting process and deliver faster results with assistive intelligence from Olivia.